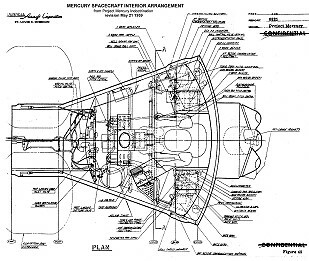 The Mercury-Redstone 4, MR-4 or Liberty Bell 7 spaceflight was second first human spaceflight by the USA and took place on July 21, 1961, with Virgil Grissom as the astronaut. 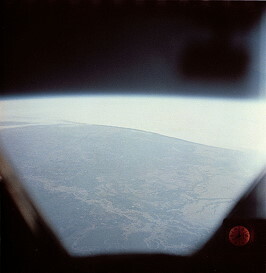 This second manned mission by the USA, however, was only a 15-minute suborbital flight meaning above the limit of space at an altitude of 100 km (54 nmi) and down again. The last part of the mission name came from the Redstone rocket that was used for launching the spacecraft. 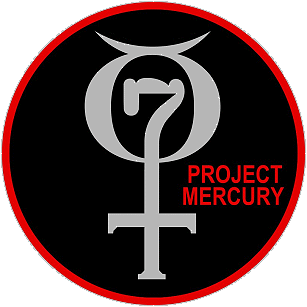 The Redstone rocket was not able to boost a Mercury spacecraft into an Earth orbit. 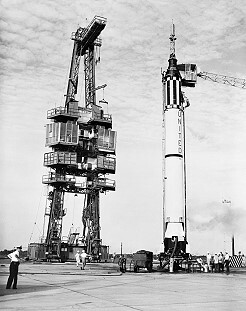 The launch of Liberty Bell 7 was first planned for July 16, 1961. 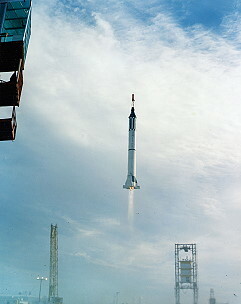 The cloud cover was too thick and the launch was postponed until July 18, 1961. On July 18, 1961 it was again postponed due to weather. Both times, the pilot had not yet boarded the spacecraft. 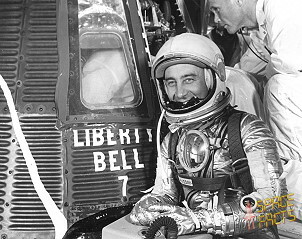 On July 19, 1961, Virgil Grissom was aboard the Liberty Bell 7 when the flight was delayed again due to weather. At that point, it had just 10 minutes 30 seconds to go before launch. Turning reluctantly to his dials and control stick, Virgil Grissom made a pitch movement change, but was past his desired mark. He jockeyed the hand-controller stick for position, trying to damp out all oscillations, then made a yaw movement and went too far in that direction. By the time the proper attitude was attained, the short time allocated for these maneuvers had been used, so he omitted the roll movement altogether. 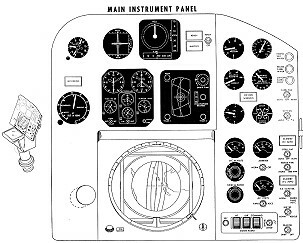 Virgil Grissom found the manual controls very sluggish when compared to the Mercury procedures trainer. He then switched to the new rate command control system and found perfect response, although fuel consumption was high. After the pitch and yaw maneuvers, Virgil Grissom made a roll-over movement so he could see the ground from his window. The reentry was without any problems. Virgil Grissom - as he told later - could not feel the oscillations following the acceleration buildup; he could only read them on the rate indicators. The drogue parachute deployed on schedule at 21,000 ft (6.4 km). Virgil Grissom said he saw the deployment and felt some resulting pulsating motion, but not enough to worry him. Main parachute deployment occurred at 12,300 ft (3.7 km), which was about 1,000 ft (300 m) higher than the design nominal altitude. Watching the main chute unfurl, Virgil Grissom spotted a 6 in (150 mm) L-shaped tear and another 2 in (51 mm) puncture in the canopy. Although he worried about them, the holes grew no bigger and his rate of descent soon slowed to about 28 ft/s (8.5 m/s). Dumping his peroxide control fuel, the pilot began transmitting his panel readings. 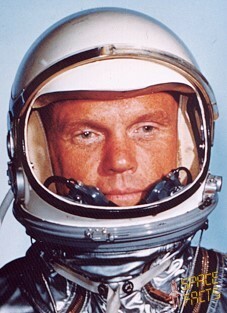 After the splashdown Virgil Grissom then removed his oxygen hose and opened his visor. Suddenly the hatch cover blew away, and salt water swished into the spacecraft as it bobbed in the ocean. 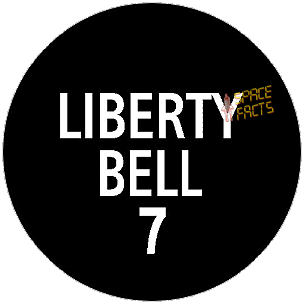 The Liberty Bell 7 began taking on water and was sinking fast. 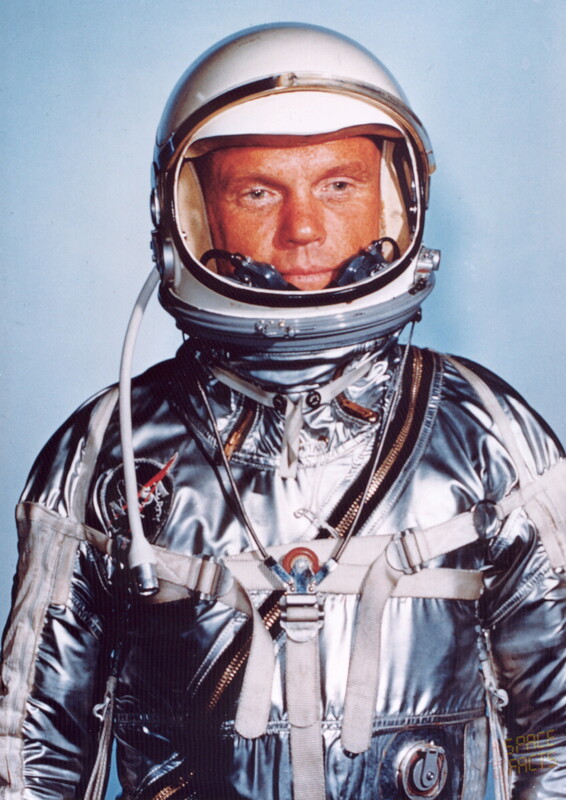 He removed his helmet, grasped the instrument panel with his right hand, and climbed out of the sloshing hatchway. Floating in the sea, he was thankful that he had unbuckled himself earlier from most of his harness, including the chest restraints, otherwise he might not have been able to exit. Virgil Grissom realized that he was not riding as high in the water as he had been. All the time he had been in the water he kept feeling air escape through the neck dam. The more air he lost, the less buoyancy he had. Moreover, he had forgotten to secure his suit inlet valve. 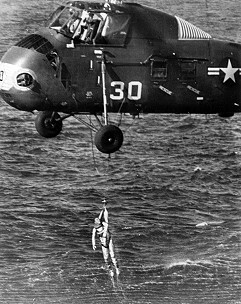 Swimming was becoming difficult, and now with the second helicopter moving in he found the rotor wash between the two aircraft was making swimming more difficult. Finally one of the helicopters tossed the "horse-collar" lifeline straight to Virgil Grissom, who immediately wrapped himself into the sling backwards. Lack of orthodoxy mattered little to Virgil Grissom now, for he was on his way to the safety of the helicopter, even though swells dunked him twice more before he got aboard. He was flown to the destroyer USS Randolph. As the first helicopter moved away from Virgil Grissom, it struggled to raise the spacecraft high enough to drain the water from the impact bag. 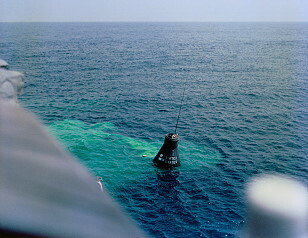 At one point the spacecraft was almost clear of the water, but like an anchor it prevented the helicopter from moving forward. The flooded Liberty Bell 7 weighed over 5,000 pounds (2,300 kg), 1,000 lb (450 kg) beyond the helicopter's lifting capacity. The pilot, watching his insistent red warning light, decided not to chance losing two craft in one day. He finally cast loose, allowing the spacecraft to sink swiftly. 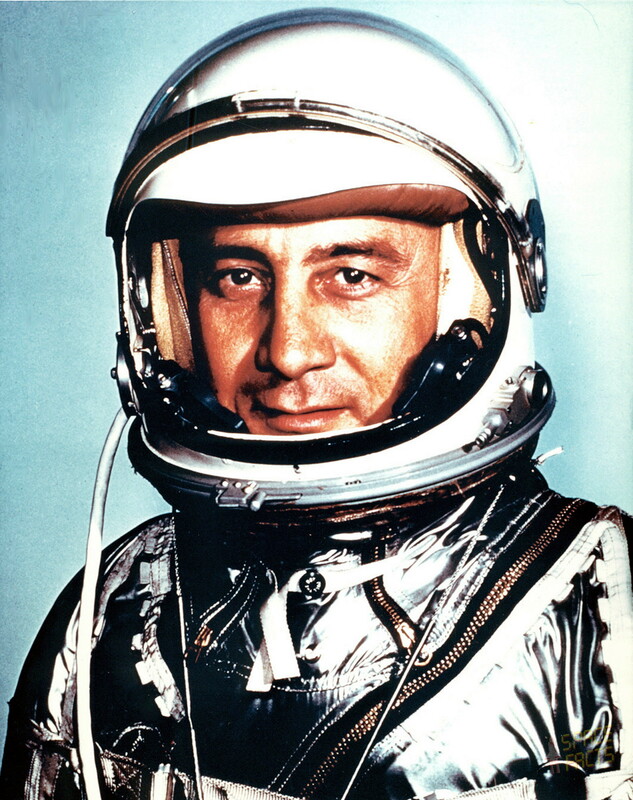 In March 1965 Virgil Grissom became Command Pilot of the first U.S. two-person spaceflight Gemini 3. He was scheduled the fly Apollo 1 as Commander in February 1967. 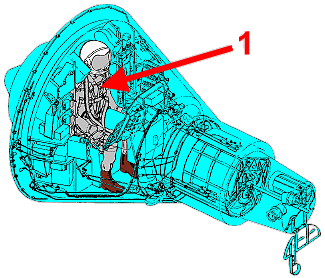 During a launch simulation on January 27, 1967 the Command Module interior caught fire and burned. 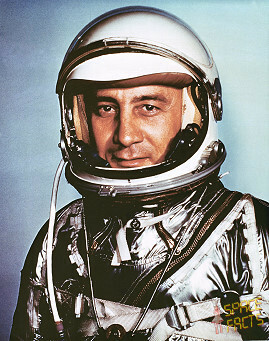 Virgil Grissom died together with his crewmates Edward White and Roger Chaffee.